Economic data is still mixed. While some numbers have surprised to the upside, the overall trend remains weak. Several central banks noted economic weakness - an important public admission for notoriously tight-lipped central banks. My overall read of the markets is that we're seeing end-of-the-economic-cycle behavior. Production increased 0.2% on a rolling 3-month basis. EU/UK Conclusion: the data continue to point towards weakness. Price pressures are dropping which is consistent with the weaker PMI data that started at the end of last year. Strong UK data was mostly a function of Brexit pulling orders and activity forward. It's likely we'll see a slowdown now that Brexit has been kicked down the road. Asian Conclusion: the data is mixed. The latest Markit PMI number for China was right above 50, indicating moderate expansion. But auto sales remain weak and retail sales are moving lower. As China is now the engine of Asian growth, this points towards weaker or mixed data across the region. Latin American Conclusion: the data is softer but not recessionary. The drop in global trade remains the region's main issue. This situation is obviously lowering growth. On the plus side, the problems in Venezuela and Argentina have not contaminated the other economies. This week we received a wide swath of price data, all of which indicate that inflation is under control. Core (in blue) has been remarkably stable over the last year, fluctuating just over the Fed's 2% target. Overall inflation spiked in the summer of 2018 but then quickly moved back through 2%. The Producer Price Index for final demand rose 0.6 percent in March, seasonally adjusted, the U.S. Bureau of Labor Statistics reported today. Final demand prices edged up 0.1 percent in February and decreased 0.1 percent in January. (See table A.) On an unadjusted basis, the final demand index increased 2.2 percent for the 12 months ended in March, the largest 12-month rise since a 2.5-percent advance in December 2018. It's important to remember that most producer price increases are absorbed by manufacturers, who are loathe to increase prices unless it is absolutely necessary. There was a sharp drop in openings (blue line). However, this is only one month of data, so we shouldn't try to read too much into it as of yet. US Conclusion: there wasn't enough data to draw any type of conclusion regarding the US economy. In my Turning Points newsletter, I still have a 25% recession probability due primarily to the yield curve's shape. But the leading labor market indicators are now more positive. Topdown Chart Weekly Chart Storm. Bill Conerly: Will the Next Recession Be Any Different? Scott Grannis: 10 charts that say there is little to worry about. NY Times: Would Medicare for All Save Billions? It's especially important that the ECB noted EU economic weakness. Central banks are notoriously closed-lipped about bad economic news, so when they mention it, it's a serious concern. The Fed released the latest meeting minutes. While you could argue the entire document is important (because it is), there are two points from the report that are highlighted here. First at the downside risks to the economy (emphasis added). A few participants noted that there remained a high level of uncertainty associated with international developments, including ongoing trade talks and Brexit deliberations, al­though a couple of participants remarked that the risks of adverse outcomes were somewhat lower than in January. Other downside risks included the possibility of sizable spillovers from a greater-than-expected economic slowdown in Europe and China, persistence of the softness in spending, or a sharp falloff in fiscal stimulus. A few participants observed that an economic deterioration in the United States, if it occurred, might be amplified by significant debt service burdens for many firms. All members agreed that the balance of risks for growth remains biased to the downside. One member pointed out that this bias is observed in both the short- and medium-term horizons. In addition to the global risks described above, most members mentioned other downward risks for growth of domestic nature, among which the following stand out: i) that the current environment of uncertainty that has kept investment at low levels, and that may lead to lower levels of consumer expenditure, persists or deteriorates; ii) that a downgrading in the credit rating of State-owned productive companies or of the sovereign itself materializes; iii) that public spending is exercised with a longer delay than would normally occur at the beginning of an administration; iv) risks stemming from the ratification process of the new free-trade agreement with the U.S. and Canada; and v) the possibility of a slower-than-expected recovery in oil production. Central bank conclusion: there was a remarkable amount of downside risk discussion in the above comments. The EU noted incoming data "continued to be weak" and was expected to be "longer-lasting". The Fed noted a host of negative factors while the Bank of Mexico noted multiple negative possibilities. This tells us that central bankers view the current environment with a large amount of caution. Rate increases are less than likely. The US Markets Are Still "Toppy"
Several weeks ago in my weekly recap, I noted that the markets felt "toppy". Supporting this conclusion were the following three inter-related developments. Rallying large-cap stocks - these are companies that are more able to withstand or survive an economic slowdown or recession. Underperformance from the micro, small, and mid-cap sectors. These companies rely more on economic growth to generate increases in gross revenue. Hence, a slowing economy is a net negative. Above are the 1-year charts for the major ETFs that track the Treasury market. All five charts started to rally in the 4Q18. While they have all sold off a bit in the last few weeks, this activity looks like simple profit taking, not the beginning of a selloff. In addition, the Fed has said it sees no reason to raise rates for the remainder of the year, which is bullish for the entire curve. Above are the 1-year charts for the major US equity indexes. Mid-caps (top row, far left) have broken through resistance, which is a net positive. But that index is still below its 2018 high. The key to the above charts are the underperforming micro-caps (top row, second from left) and underperforming small-caps (second from right). The remaining charts are composed of large-caps; all are also rallying. This chart set says, "slowing growth". Finally, we have the major sector ETFs. Three defensive sectors (real estate, top row, second from left), staples, (middle row, second from right) and utilities (middle rose, right) are rallying, indicating traders are concerned about future growth. If it weren't for JNJ's problems along with talk of minimizing prescription drug costs, healthcare (bottom left) would probably be rallying as well. Conversely, two of the three largest sectors are underperforming. Financials (top row, far right) are still below late 2018 highs. Expect that to continue due to the narrowing yield curve and dovish Fed. Of the big three sectors that comprise nearly 50% of the market, only technology (middle row second from left) is in a strong rally. 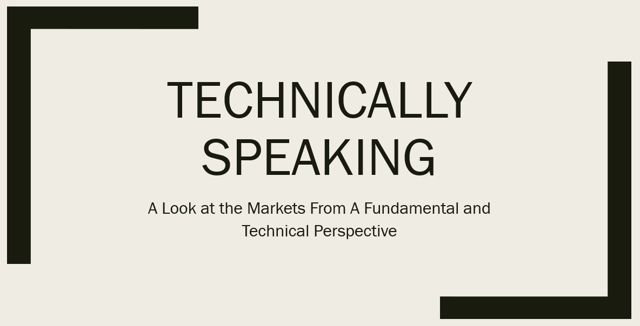 Overall, the market's technicals continue to say, "hard slog ahead, at best". Put another way, it still feels "toppy" out there.